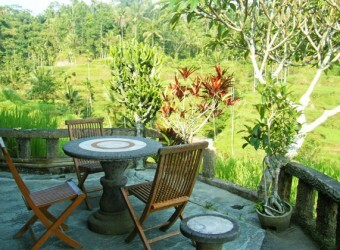 Bali Restaurant Cafe Dewi is located at Tegallalang, a tranquil café overlooking the stunning view of rice terrace. You can relax and enjoy beautiful nature scenery. The café provides not only Indonesian food but also desserts, western food including pasta, pizza, etc. Here you can enjoy delicious food, fresh air and beautiful view.